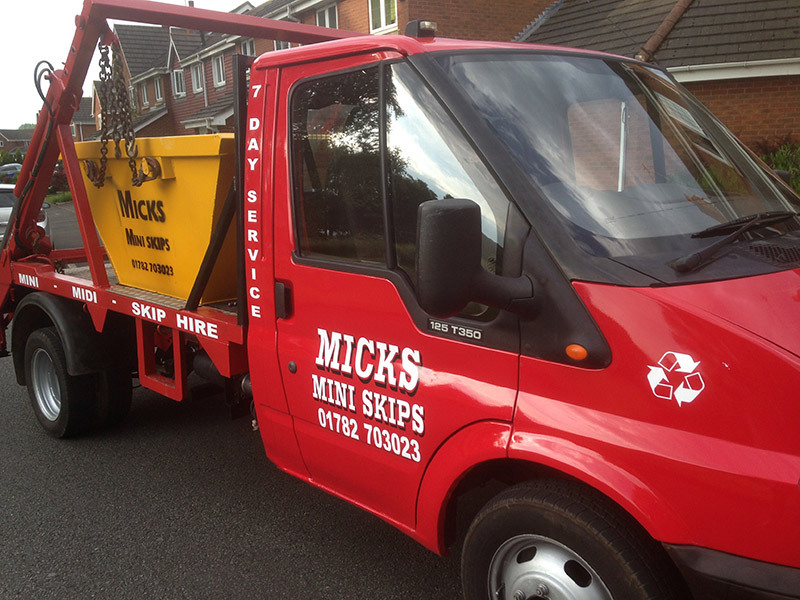 Mick's Mini Skips are a reputable and local skip hire company based in Stoke-on-Trent. We offer an excellent skip hire in Stoke on Trent and we pride ourselves on offering great customer service, great prices and great quality of job. We work all over Stoke-on-Trent and the surrounding areas and have a skip solution to suit all needs and budgets. So no matter what you need to clear, whether it be a house clearance, domestic renovations or commercial rubbish we can take care of it with the right skip for you to hire. So if you need a local, friendly skip hire service, give us a call on 01782 703023 to hire a mini skip for your project today. We are friendly and available to cater to a time to suit you. We have all the necessary insurance documents, can process any skip permits which maybe required and even help load the skip if necessary. Mick's Mini Skips - The number one choice for Skip Hire in Stoke-on-Trent!